Tacky tourist traps make me want to run screaming back to the countryside. Thankfully, Tavira has managed to avoid such horrors despite being in the Algarve, i.e. Portugal’s most popular region for tourists and expats. Unspoilt and decidedly laid back, this is one of my favourite towns in this southern region. It may be quiet but there are still plenty of things to do in Tavira. Note: If you’re thinking of using it as a base, see my Tavira accommodation picks at the end of this article. I’ve also included some suggestions for guided tours by tuk tuk, bike and jeep. Rich in history and culture, Tavira is the perfect place to take your time and soak up the peaceful atmosphere. If you happen to be there in spring, you’ll enjoy bonus wafts of orange blossom as you wander around the streets admiring the traditional architecture. 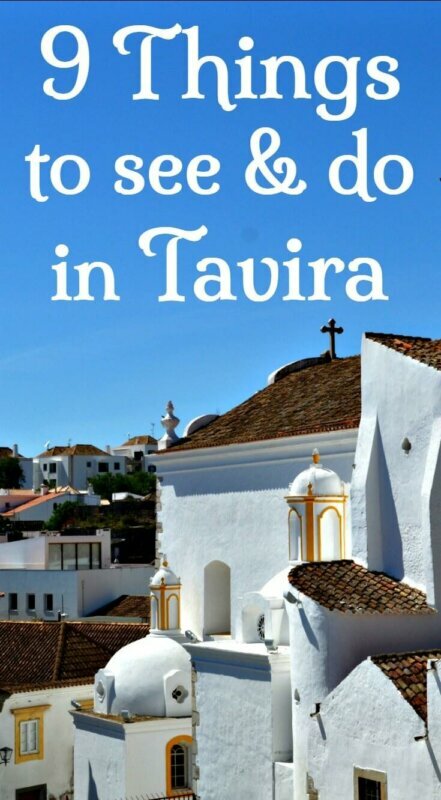 Here are my suggestions for what to do in Tavira. Housed in the old water tower next to the castle, the camera obscura claims to use Leonardo da Vinci’s technology to give visitors a 360º view of Tavira. I was unsure as to how impressive this would turn out to be but Mike was keen so we paid our €3.50 each and waited until a young man came to collect us. He took us up into the tower via an elevator and told us to stand around a gigantic white dish. The room went black as our guide switched off the lights and demonstrated how the double lens mirror system enabled him to project real time images into the dish. By gradually alternating the camera focus and angles, he took us on a virtual tour of Tavira, pointing out places of interest and elaborating on their stories. We learned about the haunted old boys’ school and the ‘temporary’ bridge that’s been in place for the past 26 years. We even got to see the salt pans that we’d heard about but wouldn’t have time to visit on this occasion. Open Monday to Friday from 10 am to 5 pm, the camera obscura is worth a visit. There’s very little left of Tavira’s medieval castle but that doesn’t mean you should ignore it. Inside the walls is a beautiful garden and you can climb up old stone steps in the walls to get even better views over the city. Just be careful as there are no railings or safety features! If you don’t fancy walking uphill to the castle, check out one of the tuk tuk tours. The current structure was actually built in the 17th century but everyone calls it the Roman bridge because of the style of its arches. The temporary bridge I mentioned earlier was built following the 1989 floods which took out the Roman bridge for a while. Nowadays, it’s the focal point of the town and extremely photogenic, although my efforts leave much to be desired. Take your time strolling across it – you might encounter buskers or street sellers on the bridge itself or spot people fishing in the Gilão river. At low tide, you’ll see fishermen knee-deep in the water, scooping their triangular nets. Tavira is perfect for sitting in a square or riverside café for a spot of people watching. We were treated to an impromptu dance routine by a girl who was blissfully lost in the music in her head and the sheer joy of a younger girl, skirt tucked into her knickers, who was running between the short jets of water in the fountain. There are several cafés with outdoor seating in Praça da Republica – some of them do delicious cakes, too. Other options include the café at Mercado da Ribeira, just through the small park, the café to the left of the Roman bridge, or the ones on the right of the bridge in Rua Borda d’Agua da Assêca. Instead of being littered with cheap nasty souvenir shops (although they do exist here), Tavira is a great place to find tasteful, arty products you’d actually be proud to have in your home. My favourite shop is Casa das Portas, not only for the beautiful door prints on sale but for the carefully selected handmade products from around the world. Another gem of a shop is Karisma, which has some gorgeous ceramics and other forms of art and crafts. Look out for local craft markets,too. We found one in the gardens at Largo da Republica and inside the Mercado da Ribeira with goodies ranging from delicious fig cakes to gorgeous handmade ceramics. It’s probably the most delicious ice cream I’ve ever tasted. 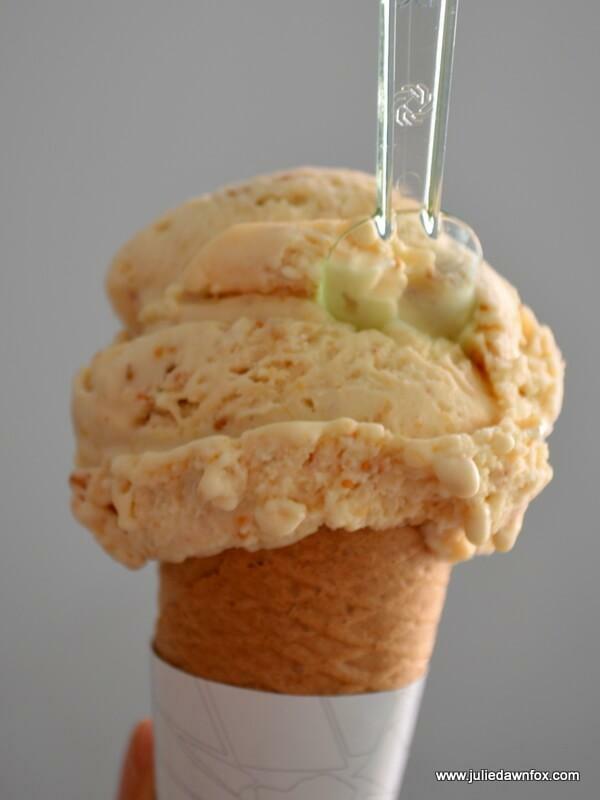 Gelataria Delizia have three outlets in Tavira and sell other flavours of their 100% natural artisan yumminess. For such a small town, Tavira has a lot of churches. 21 within the town itself and 37 if you count the outlying parishes. Even though many of them are locked up most of the time, the one priest that serves them must be extremely busy! Among the churches that are usually open to the public, the 16th century Igreja da Misericordia has an impressively carved gold leaf altar and blue and white azulejo panels depicting the 14 acts of mercy. Much of the decor is from the baroque/Renaissance period, as is the case in most of Tavira’s churches because of the devastation caused by the 1755 earthquake. The former Our Lady of Grace convent near the castle has been transformed into a luxury hotel with a delightful cloistered courtyard. The convent was originally founded by Augustine monks in 1542 and was added to over the years. After the abolition of religious orders in Portugal in 1834, the building served as a military barracks but you’d never guess that from the tastefully decorated interior. Praia do Barril is no longer on my wish list. I finally got around to walking there last December, on Christmas Day, in fact. Essentially, you get three treats for the price of one: a marshland and dune nature reserve, a beautiful beach and a wonderful photo opportunity from the rows of rusty anchors laid to rest in the sand. To get there, you can either cross the pontoon from Pedras d’el Rei or take the bus to Santa Luzia for a longer, circular walk. If walking around the town feels like too much effort, there are tuk tuk tours lasting 30 minutes, an hour’s trip with a visit to the Ria Formosa and a wine tasting experience or a 90-minute tour that takes you to a fishing village and the salt pans. For those of you who are fit enough to handle and enjoy a 5-hour cycle tour, this one starts from the village of Moncarapacho and takes you through beautiful Algarvian countryside through Tavira and onto the octopus fishing village of Santa Luzia, the bird.filled lagoons of the Ria Formosa and back to Moncarapacho. If you want to visit as many of the Eastern Algarve’s pretty towns as you can in one day, take this full day small group tour. 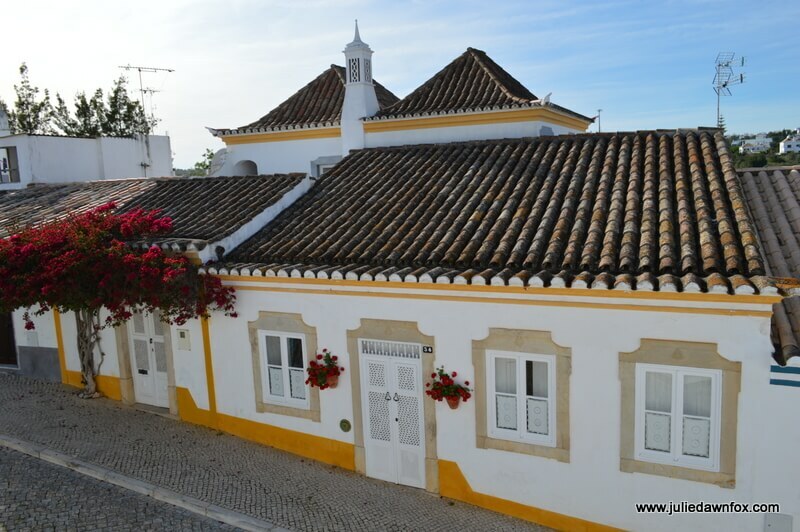 Aside from the luxury of the Pousada Convento de Tavira, there is a range of accommodation in and around the town. 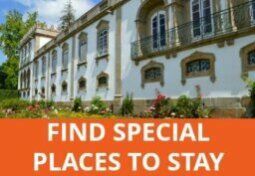 Quinta do Caracol farm offers rooms and apartments of varying sizes in a charming garden setting within walking distance of the main sights. Calçada Guesthouse is a renovated townhouse in the centre of Tavira with a wonderful rooftop terrace. Fazenda Nova Country House is a luxury retreat just outside Tavira with suites, apartments, a lovely pool and onsite restaurant. The OZADI Tavira hotel is on the outskirts of town and provides a free shuttle service into the centre. Originally built in the 1970s, the hotel has won architectural awards for its recent renovation and has some pretty impressive interior design features as well as a pool and restaurant. Pack a dedicated regional guide book and map to help you make the most out of your time in the Algarve. Hello. 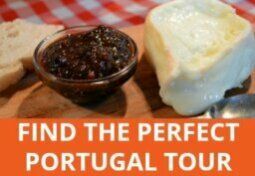 Just found your very informative site while researching this area of Portugal. 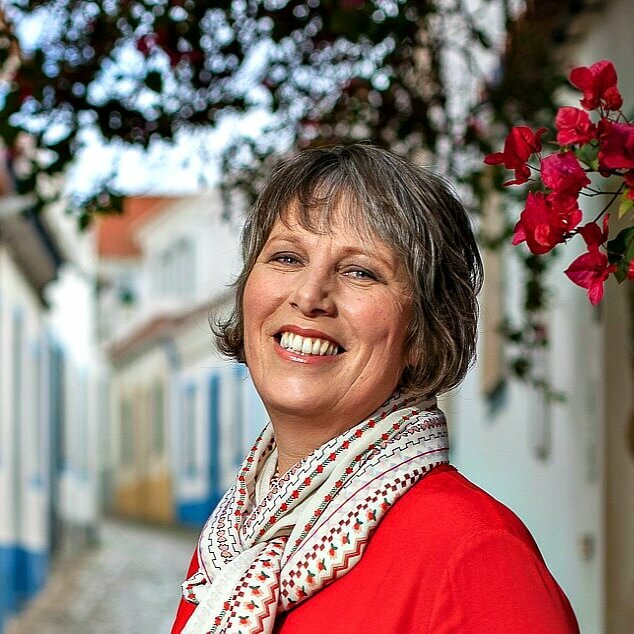 Do Tavira & Lagos have large expat populations? Thank you. Thank you for writing this guide! We just spent two days in Tavira and made it to most of your suggestions. The camera obscura was surprisingly awesome and we loved fig gelato! Hello Julie. Was looking at the bike tour you mentioned. It says that included is pickup at hotel. But I’m not clear if they can pick people up in Tavira and take them to the starting point in Moncarapacho or whether you have to get yourself to Moncarapacho first. We won’t have a car. I tried to find out on their web site or by writing to Viator directly but couldn’t find a way to get the info. Do you know? Do you have an email address for them? Also, would prefer to start a little closer to Tavira so as to do fewer kilometres. Thx if you can help. 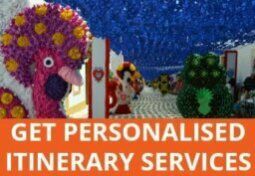 Hi Sylvia, I don’t know the company but there is usually an option to contact the tour operator through Viator if you have questions like this. You would probably have to pay extra for collection from Tavira so you should just take a taxi instead. I haven’t done this route so it’s best to talk to the providers about ways to shorten the cycling distance. Dear Julie. Thanks so much for sharing about Tavira! I’ll follow your footsteps. Already visited the Castle Garden and can tell that there are now railings safeguarding the steps to the top of the walls. That’s good to know, Bente. Thanks for taking the time to share. Hi Sean, I don’t think so, at least not any more – there’s only one priest to go around so there can’t be all that much demand, despite the high number of churches. Reading this after returning from a two week road trip around the North last weekend. It’s pure coincidence that I was looking at a deal for a week at the Pousada yesterday! Self and GF visited Tavira two years ago on our first road trip, stayed three nights and thoroughly enjoyed the visit. Stayed at Residential Mares on that occasion and ate at Bica a couple of times – good food, popular with the locals (always a good sign as we found out on this September’s road trip) and worth the wait for a table if you just turn up. Time to count the pennies and see whether a Pousada visit at the end of November is viable – which it could be given the over-55’s Pousada deal and the fact that we came in well under budget in September! We took holidays in Tavira (Pedras d’el Rei) for many years when the children were young. They loved getting on the crickety old railway accross the dunes to the beach. Your blog has reminded me of those times and rekindled my desire to go there again. Great family venue. Happy to bring back fond memories and inspire you make fresh ones, Andrew! I just love how relaxed it feels. Certainly not the place for party animals but if you want a charming peaceful town, Tavira has lots to offer. Did you know the reason why Tavira has so many churches? It’s because at some time there were ” street wars” and the people from one street didn’t want to attend mass together with the people from the other street, so they all built their own churches! Hi Bettine, I didn’t know that but I’m very glad you took the time to share that little gem. I did wonder why there was such an excessive number!